Truck drivers can pretty much agree that adequate lighting is pretty much extremely essential on any truck. 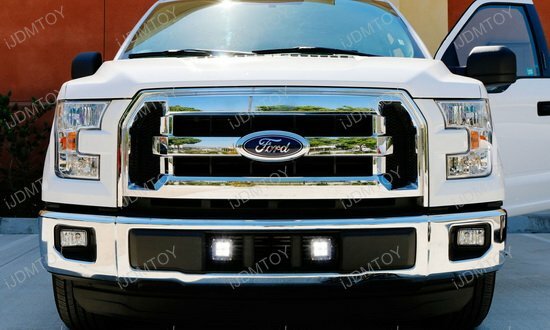 For Ford F-150 drivers, the complete set of 2015-up Ford F-150 LED fog lights is a great addition for the lower bumper area and adds sufficient lighting. The LED pod lights are super compact, for the driver who likes a bit of a minimalistic look, but also still wants lights that can pack a punch. The fitment ideal for certain Ford F-150 models like the XLT, Lariat, and Limited, but if you have an XL, King Ranch, Platinum models there is some cutting required on the lower bumper.